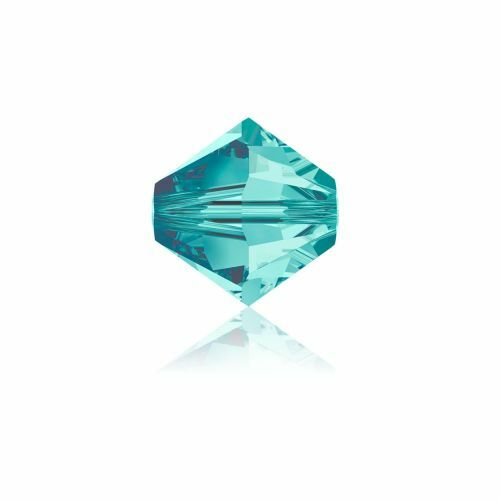 Blue zircon 4mm xilion bicones from Swarovski®. With 24 facets these diamond shaped Swarovski® crystal beads are great for projects where you need that extra sparkle. Sold in a pack of 24. CommentBeautiful colour. Very versatile beads. Commentgives a special touch jewellery.